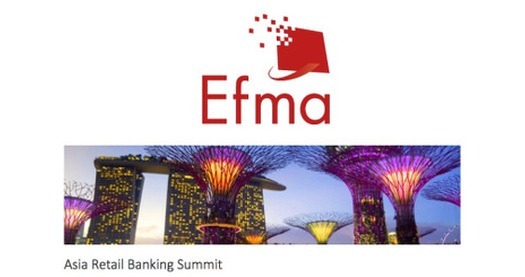 Moneythor will present at the 2nd Annual Efma Retail Banking Leaders summit in Singapore on November 8th and 9th, 2016, where digital banking, data & analytics, mobile and fintech collaboration will be hot topics. This year’s summit will bring retail banking leaders from Asia and around the world together to gain insights about leading-edge developments that impact their bank and how to leverage them for business success. In 2016, the conference will focus on the Bank of the Future. In addition to showcasing its data-driven digital banking toolkit for financial institutions, Olivier Berthier, CEO of Moneythor, will present on personalization in digital banking on the second day of the event.